Welcome to our website! We are so glad you stopped by. My name is Virginia Porter, but my friends call me Ginny. As the Coordinator of Women’s Discipleship for Catalyst Missions, I am passionate about equipping women to make disciples in obedience to Jesus’ Great Commission (Matthew 28:18-20). Speaking of equipping women to make disciples, here is some exciting news! 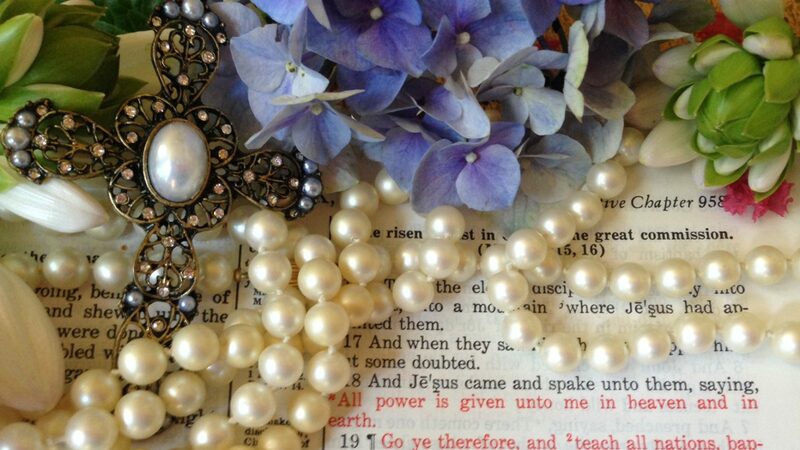 I have two new books hot off the press…Strand of Pearls Curriculum for Women’s Discipleship and Spiritual Matchmaking, which is the first book in a series entitled The Profound Mystery of Christ and His Bride. These two books comprise the curriculum that we at Catalyst use in discipling relationships in the United States and around the world. We hope that you will find them to be useful resources whether you are discipling your next-door neighbor, heading a women’s group at your local church, or taking the Word of God to places around the globe. They are now available from Certa Publishing and and directly from our website. Both books will soon be available in Spanish. I would also like to introduce you to our community of women who love the Lord Jesus Christ and are serious about making Him known at home and abroad. We come from many ethnic groups and all walks of life. From doctors to stay at home moms, singles and grandmothers, wives and widows, we are devoted to sharing the Word of God and equipping women to make disciples beginning in their own immediate sphere of influence. On our pages you can read blogs and lessons written by several women in our discipling family. Although our main theme is making disciples, you’ll find articles and posts here that are as varied as the enumerable issues women face in each season of life. We’ll be sharing the nuts and bolts of disciple-making, as well as keeping you informed about what the Lord is doing in other countries in the area of women’s discipleship through the work of Catalyst Missions. So, be sure to look for upcoming tutorials and video teaching sessions. Please join us on this journey. We encourage you to become part of the discussion through your comments.